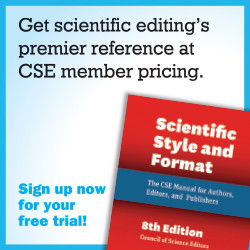 Editors increasingly find themselves at the crossroads of self-publishing (SP) and contract publishing (CP). With strong incentives on each side, choosing one or the other can be a difficult decision. 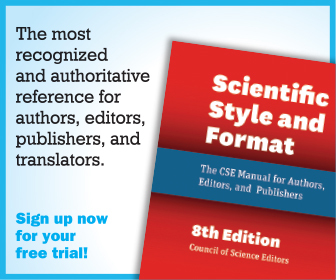 To illustrate the advantages and disadvantages of each avenue, Cara Kaufman began the presentations with an overview of an eightjournal interview of editors on SP versus CP. The interview results highlighted the trending shift within the last 10 years toward CP, which reduces financial risk, increases global institutional reach, and allows societies to focus more on journal development rather than publication intricacies. However, sticking with SP may also support continued financial success, help retain publisher control over multiple aspects of their journals, and allow inhouse publishing infrastructure to remain, with resulting synergies. These reasons, combined with CP’s potential for the lack of flexibility and transparency, as well as potentially difficult software integration, make SP beneficial for some societies. Kaufman emphasized the importance of compatibility of culture and vision between society and publisher, which develops through constant communication. “Ensure your publications get the best attention and ideas,” she said, stressing that faceto-face communication is key. Likewise, a point-person within the society who understands publishing is important to a good partnership. Kaufman noted that the majority of interviewed editors were happy with their decision to switch to CP. From the perspective of an editor overseeing some journals using CP and some using SP, Ann Murphy presented the benefits and challenges societies may face when transitioning to CP. Murphy’s reasons for moving one journal over to CP aligned with previously noted benefits. Turning over customer service to a publisher provided time savings, increased global reach and exposure, and improved revenues. But a few unforeseen challenges surfaced, including less personal service, which resulted in communication problems, as well as substantially increased response times due to a lack of a dedicated service team at the publishing house. “The biggest challenges,” Murphy said, “were a loss of flexibility and control,” also noting an initial branding issue with the publisher. Nevertheless, the benefits of cost and time savings have encouraged Murphy to consider bringing all of her society’s journals under the CP umbrella. Judie Lieu, senior director of innovation at the Gerontological Society of America, also has experienced the transition to CP, noting benefits of higher circulation, readership, and impact factor, along with increased numbers of submissions. In fact, the Gerontological Society of America was pleased enough with the CP results to renew the society’s contract with Oxford University Press (OUP). Lieu emphasized that the key to good relations with a contract publisher is frequent and productive communication. “An aggressive schedule helps quickly overcome gaps and increases developmental opportunities, keeping our society at top of mind with OUP,” said Lieu. Using a range of communication strategies from weekly calls to annual faceto-face meetings, the society keeps the publisher accountable though extensive involvement. Speaker Audra Cox was not able to attend, so Kaufman stepped in to talk about the American Society for Investigative Pathology’s (ASIP) decision to switch to CP. Many factors were taken into account, including peer-review systems and in-house versus outsourced copyediting. Since the transition, ASIP has been pleased with the control the editors have maintained, although the publisher’s alternative software platform did create initial difficulties. Kaufman emphasized that societies should advocate for the system they want and are comfortable with, as most publishers will try to tailor their services to a society’s wants and needs. ASIP also maintains a high degree of oversight, making sure style guides match between offices, and reviewing proofs after outsourced copyediting and composition. Kaufman reiterated the significance of communication, saying, “Understand the nuances of your publisher’s workflow as they understand yours.” Constructive complaints must be shared, but societies should remain open to the publisher’s ideas. Whether deciding on a publisher or currently working with one, constant communication is key, allowing the publisher to hear and address client needs. Both SP and CP have advantages and disadvantages, and one path may not be idealfor a particular publication.